One of the joys of the weather warming up in early spring, is the color bursting forth from the ground, the shrubs and our trees. When thinking about spring color we plant bulbs for a great show, but our trees have the largest display and can be glorious in their show of color and fragrance. When you plant flowering trees in your landscape, you’re assured of bursts of red, white, pink or yellow every year at about the same time. These seedlings will bloom for years with just some watering and taking care of any pests they attract. 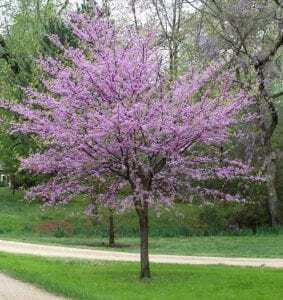 Choosing the right flowering trees for your landscape isn’t difficult, but there are a few to choose from. 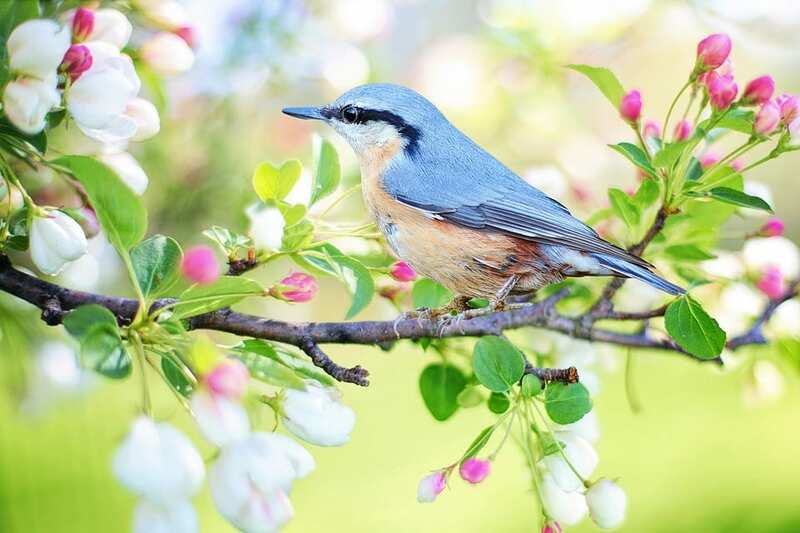 When established flowering trees not only increase the value of your property, but also attract birds and various forms of wildlife. Some landscapers recommend planting three trees together to create a grove. 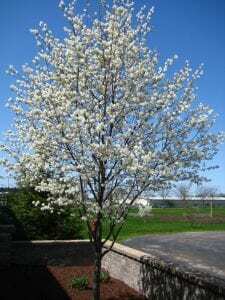 The flowering pear tree (Pyrus calleryana) is an ornamental tree that can be grown in the U.S. Department of Agriculture plant hardiness zones 5 through 9. Often referred to as the Bradford pear and Callery pear, it is used widely for its spring flowers and colorful fall foliage displays. 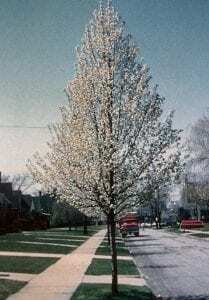 Flowering pear has a rapid growth rate, often achieving 12- to 15-foot height increases during an 8- to 10-year period. Ultimately it can grow to a height of 30 to 40 feet and about one-third as wide. Its showy, dark pink to red flowers are what draw most people to the Prairifire flowering crabapple. And for good reason. The stunning, long-lasting spring blossoms are a sight to behold. But this variety also offer year-round beauty with its changing leaf color. Glossy maroon or purplish-red in spring, the leaves become dark green with purplish-red veins in the summer then a beautiful bronze color in autumn. 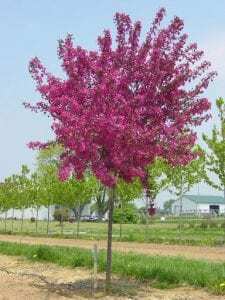 And to add to its visual appeal, the Prairifire flowering crabapple is disease-resistant and able to adapt to many different site conditions. Serviceberry trees display white blooms just before their foliage emerges in early spring, offering some of the earliest sources of nectar for pollinators. The five-petaled flowers closely resemble apple blossoms but with skinnier petals. After the show of these blooms, clusters of edible berries form. As summer begins, berry colors ripen to a deep red then purple color. The berries make a wonderful substitute for blueberries and can be eaten fresh or made into jams and jellies. Serviceberry foliage has an open and loose habit. This allows dappled light to shine through, which creates a space for part-shade plants to sit below the base of serviceberry trees. As nights cool down in autumn, blue-green foliage transforms into beautiful shades of orange and red.